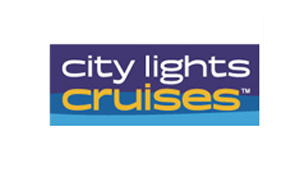 City Lights Cruises is the party cruise service in 8 major cities in the U.S. and Canada growing at a rate of 20-25% annual revenues. Off-line the service-based company had enjoyed major ticket sales in its main areas of operation – NYC, Chicago and LA – via door-door tickets salespeople. In 2008, the CEO and President decided to invest into online marketing in an attempt to save money, decrease salesperson’s commissions and therefore increase total profitability. The problem was that he did not have the staff or knowledge to make this happen and no plan. He quickly turned to Agent-cy for help. Read below and learn how Agent-cy helped City Lights Cruises expand operations from 3 cities to 8 in two years and give them top position in both paid and natural search for party cruise. Finally, how Agent-cy helped City Lights use Social Media to gain fans and grow followers across all their operative cities.